With Smith’s sudden retirement though, the makeup of the team has gone from different to practically brand new, at least in regards to the composition of the spine. The flow on effect of this is that the style and direction of the side will be fundamentally different from previous regardless of who is selected to take the state forward. 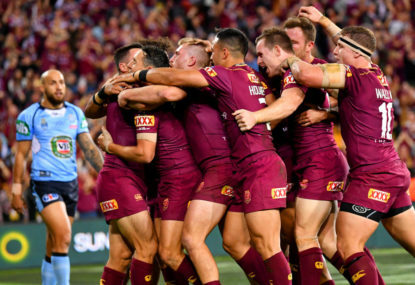 This presents a rare opportunity for a Queensland supporter, a chance to get into the real nuts and bolts of team selections and games plans involving more than just the usual injury replacement. And so, not being the type to pass up an opportunity to sink a disproportionate amount of time and effort into a purely hypothetical and ultimately pointless endeavour in a feeble attempt to rationalise to myself that I could be a success if I tried, why not have a crack? Before I get too far ahead of myself, this is not the team that I expect to be named and it’s not the team I necessarily believe should be named, it’s just the team that I would pick if I had the opportunity. So I should really explain some of the reasoning that led to the makeup of the team. For starters, picking a team (especially at an elite level) is about a lot more than just picking which players you think are the best in their positions. You have to take into account team balance, combinations, potential game plans and your opposition. Speaking of the opposition, obviously the exact makeup of the team is practically impossible to predict, but there are still some fairly reliable assumptions that can be made. The Blues’ abundance of quality forwards suggests that the middle third of the field will be the focus of their attack. This is regardless of whether they come with a game plan based on control and field position built around ball players and decoy runners attacking in the opposition 30, or one based on retaining possession and momentum with ball runners dominating the back-line playing off offloads and quick play the balls, punching through the middle, or even a combination of the two. Whichever they pick, Queensland will have to absorb a lot of punishment through the middle third for most of the game. A forward heavy opposition featuring mobile back-rowers also makes attacking through the middle a difficult prospect, making good service from dummy half and the ability to shift the ball quickly to the edges and isolate the opposition backs a priority. At the same time, you can’t allow their mobile back-rowers to easily slide in defence by constantly going to the edges, so you need to be able to keep them honest through the middle and keep their defensive line as spread out as possible. Starting from the front I’ve got Andrew McCullough taking over the reigns from Cameron Smith, with Matt Scott and Jarrod Wallace alongside him. These three would be tasked with taking the sting out of the NSW forward pack. McCullough is a tackling machine and knows when to kick for touch to give his men a breather, while both Scott and Wallace have the engine to do the hard yards in the opening exchanges and both have handy offloads capable of keeping the opposition on the back foot, or at least honest. Behind them, I have Coen Hess and Aiden Guerra with Michael Morgan coming in at lock. 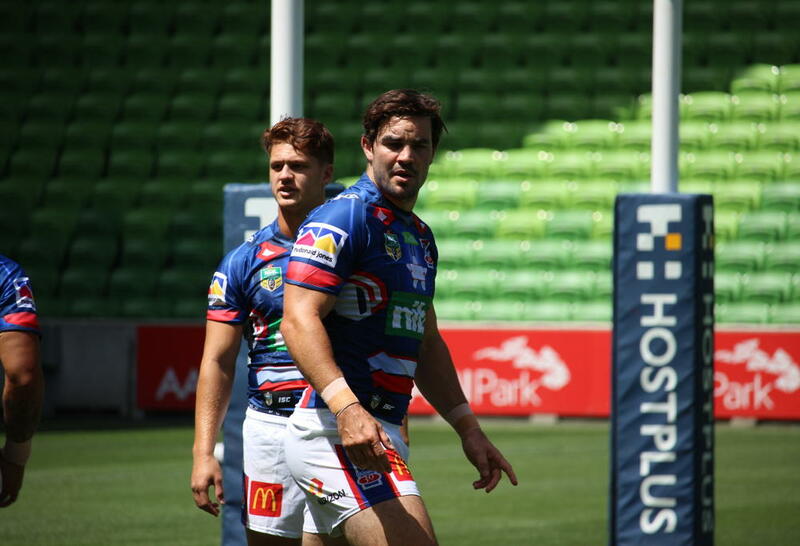 Hess and Guerra are among the top defenders in the comp and both are capable of playing big minutes with Guerra having somewhat of a resurgence at the Knights, while Hess can be a real handful with the ball as well. Morgan coming in at lock may be a bit of a surprise, but I’ve slotted him in here to take the pressure off McCullough in attack (who’s likely to be heavily targeted in defence) by adding an extra point of attack through the middle where his familiarity with both Hess and Scott will be appreciated. He’s not a small guy and should be able (at least in my view) to handle the workload in his position with Queensland’s defensive strategy being more about absorbing pressure with numbers in the tackle rather than on dominant one on one tackles and getting over your opposite number. He’s appeared down on form and confidence over the opening weeks and a simplified role at lock should let him play what’s in front of him without the pressure of having to plan several plays ahead. So, in essence, I’ve split Cameron Smith’s role between McCullough and Morgan. In the halves, I’ve gone for Cameron Munster and Daly Cherry-Evans. 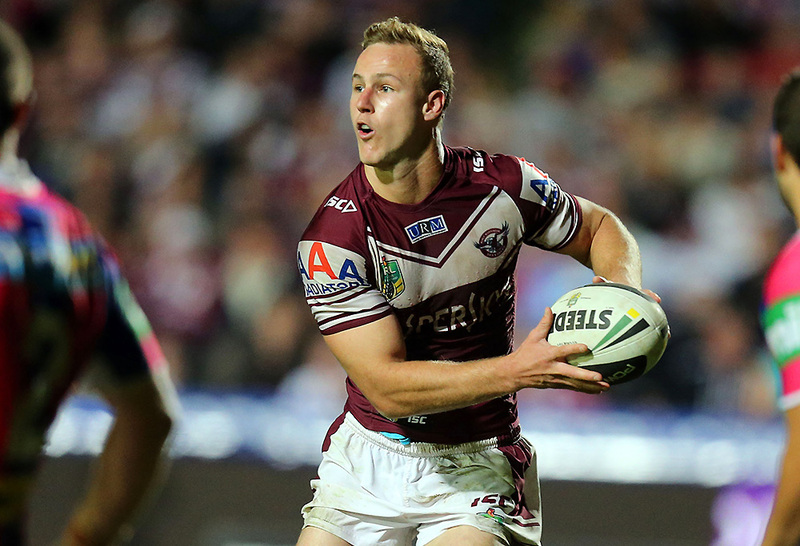 I know the fashionable halves pairing is Hunt and Munster but there are a couple reasons I’ve gone with DCE instead. From an angle of team composition, neither Hunt or Munster are dominant players in the spine’s they’re apart of and in my opinion any functional spine requires a dominant half, especially in an elite arena such as Origin. Defensively DCE is one of the best halves in the NRL while Hunt is fourth in the comp for missed tackles, and given the traffic the Blues are going to throw at Queensland’s halves, you want a half that can hold his own. Both DCE and Munster have strong running and passing games which allow plenty of attacking options, whether it be running themselves, creating numbers on the edges and engaging the backs or going back inside to the fullback running through. With kicking duties spread between these two and Morgan at lock this should culminate in the opposition defence not being allowed to settle into set defensive patterns. DCE is also a handy goal kicker (despite being dismissed as one in the media) which is needed after the retirement of both Smith and Thurston. Chiming in from the back I’ve got Billy Slater at fullback, Dane Gagai and Will Chambers on the right edge and Greg Inglis and Darius Boyd on the left. The first four don’t really need an explanation but I’m sure Boyd isn’t a popular choice. His spot pretty much comes down to his combination with the guy inside him (and Slater for that matter). Oates played alongside Inglis in the 2016 series and surprisingly that combination resulted in just two tries with the opposite edge accounting for most of the points that series. Whatever that’s down to it’s a concern I wouldn’t be willing to bet on again. And so given a choice between Boyd with a very successful combination and Holmes with no combination with GI at this level I’ve gone with Boyd, at least for Game 1. Coming off the bench I’ve got Dylan Napa and Josh Papalii to substitute into the front row as needed and Jai Arrow to cover the back row. I’ve given the fourth spot to James Segeyaro to come on at lock once the opposition forwards start to tire. In the case of injury, Segeyaro would come in at lock and Morgan would move where needed. So there you have it, my Queensland Origin team for Game 1. Be kind.